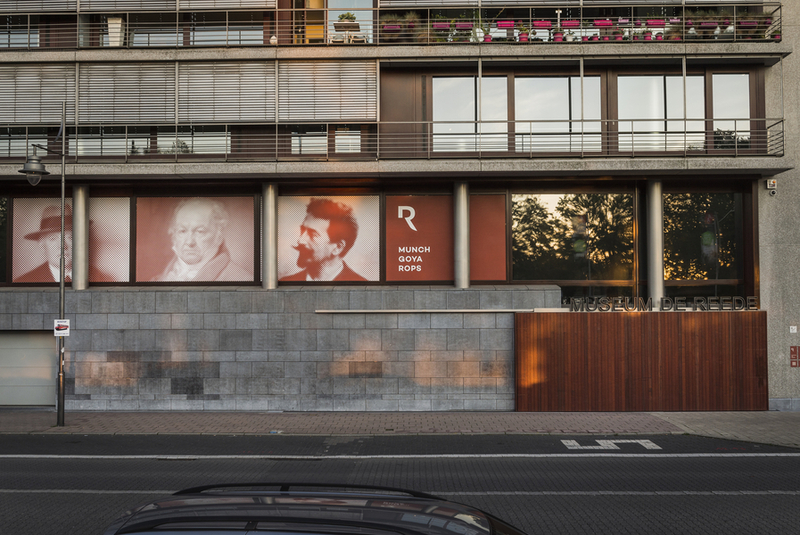 Museum De Reede boasts a collection of 150 works by three of the greatest engravers of all time: Francisco Goya, Félicien Rops and Edvard Munch. The collection of Museum De Reede, which is unique and still growing, consists exclusively of works on paper: lithographs, engravings, etching, wood prints and drawings that span over five centuries, from the 17th to the 21st century. It is dedicated to three masters of graphic arts: Francisco Goya (Spain), Félicien Rops (Belgium) and Edvard Munch (Norway). They are three artists who use people as their subject. The three masters each have their own room on the first floor of the museum. The new museum accommodates many other international artists, including Jacob Toornvliet, Théophile-Alexandre Steinlen and Käthe Kollwitz, in addition to fifteen Belgian artists, such as Rik Wouters, Henri Evenepoel, Eugeen Van Mieghem, Gustave Van de Woestijne, Hugo Claus and the Famous Antwerp-based Fred Bervoets. Their works can be admired on the ground floor, where they occasionally make room for a temporary exhibition. All in all, the collection includes more than 200 graphic works spread across 500 square meters. The fully renovated museum halls are decorated in such a way that the works are shown off to best advantage. Antwerp as a location for the new museum was a conscious choice. Not only is the city an important centre of culture, it also owes its reputation to its centuries-old tradition of engraving, with famous printers like Christopher Plantin and Jan Moretus. With De Reede, Antwerp has added a unique museum to its list of museums. Curious about Antwerp’s other museums? Check out the overview.